Numerous experts have expressed doubt that the Syrian government carried out a chemical weapons attack. 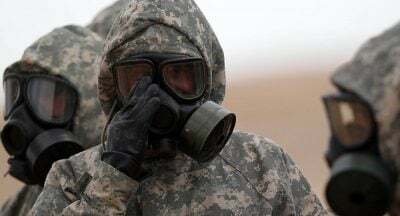 The United States is threatening to go to war in Syria over allegations of chemical weapons usage for which no factual evidence has been provided. “With great criticism from the international community, Assad and Russians bombard Ghouta bit by piece, and that they would add the opportunity to be criticized for using chemicals – it feels strange. They do not need it, their tactics are already successful, says Sellström. The attack can come from Assad’s regime, but you may as well have other explanations.Toxic substances can be dispersed in many ways, for example through marx explosions or smoke. “We would have to meet people and doctors themselves and, in particular, need samples from the environment and poisoned persons.